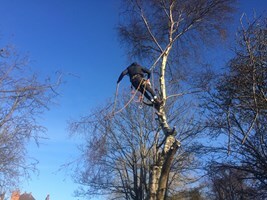 Ian Price Tree Care & Garden Services - Garden Services, Tree Surgeon based in Walsall, West Midlands. Invoice history based on 231 reviews. I have over twenty years' experience in this trade. I undertake all kinds of tree and shrub work, felling, topping and pruning. All kind of fruit trees, apple, pear trees pruned and sprayed. Hedges trimmed and shaped and all waste removed.